I argue with myself on a regular basis about being a working mom vs. a stay-at-home mom. We are in the category of family that could “make it work” if I decided I wanted to step back from my career and stay at home full-time with our four kids. At this point, my take-home pay is not much more than the cost of childcare, so it would not make a huge financial impact on our family if I decided to resign. But if a woman has the opportunity to be a stay-at-home mom, this does not mean she should necessarily take it. No one arrangement is definitively better for the kids. Science has revealed a mixed bag of pros and cons. Some of these are explained in this article, which doesn’t even include recent research showing the positive impact on kids of having a working mom. Besides, each family’s context varies in terms of type, amount, and quality of care. Therefore, the decision boils down to the family’s financial, logistical, professional, and emotional desires and needs. Here are six reasons that women who are considering quitting their jobs to become stay-at-home moms might choose to embrace their role as working mom instead. Motherhood is exhausting, and being a stay-at-home mom of young kids does not provide much reprieve from the constant demands of caring for children. By the end of the day, moms may feel physically, mentally, and emotionally drained from the time they have spent looking after their children. They may be counting down the hours to get a break from their kids, waiting for bedtime to roll around or for their partners to come home from work. I find that when I am home with my kids, I am often distracted, looking for something social, productive, mine to take me away for a moment. I’m not sure whether this is because I’m selfish or because it’s just not natural or healthy to be fully engrossed each moment in four kids’ chaos and the endless avalanche of others’ needs. On the other hand, when I leave home to go to work, I get a chance to nourish another part of my identity for several hours a day and recharge. I get a break. And I get to spend time doing something else that I enjoy. Returning to my kids at the end of the day, we are so excited to see one another. Instead of begging for a snack or asking me to referee an argument, my kids seem appreciative of my presence and don’t take it for granted. Even though I may be tired from work, the transition in roles is refreshing. I want to hear all about my kids’ days and usually jump right in with renewed energy to tackle my parenting responsibilities. In fact, children do not require as much time with us as we as a society seem to think they do. The study showed that the amount of time mothers spent with their young kids did not have an impact on their behavioral, academic, and emotional wellbeing. What does matter to kids is not the amount of time we spend, but that we do spend quality time with them, that we are warm, and that we are sensitive. The quality time doesn’t have to include big, structured, memorable experiences, either. Quality time can simply be made up of everyday moments when we take the time to connect and be present with our kids. When both parents work outside the home, it’s much harder to justify household responsibilities defaulting to one person or the other. On the contrary, a stay-at-home mom can become the parent that is expected to take care of the home because she is physically present more of the day. This results in a lot of pressure on stay-at-home moms. It’s stressful (and, in my experience, difficult to near impossible) to take care of the kids all day while also keeping the house clean and running any errands that needed to be done. I heard this theme over and over again in the survey responses I received from moms who had left their jobs to become stay-at-home moms. Some women become stay-at-home moms because they see a financial benefit in this arrangement. When childcare costs nearly the same or even more than what they would earn at work, it makes sense to stay at home with their kids. However, this may be a bit short-sighted. While it is true that I do not take much more home in my paycheck than we pay our babysitter, there are other financial benefits to my working. For example, my employer has better health insurance than my husband’s. We also have a very generous retirement plan. If my husband were to lose his job, we would still have my income to count on. If we came upon some unexpected medical or home repair expenses, it would be easier to afford with my income than without. 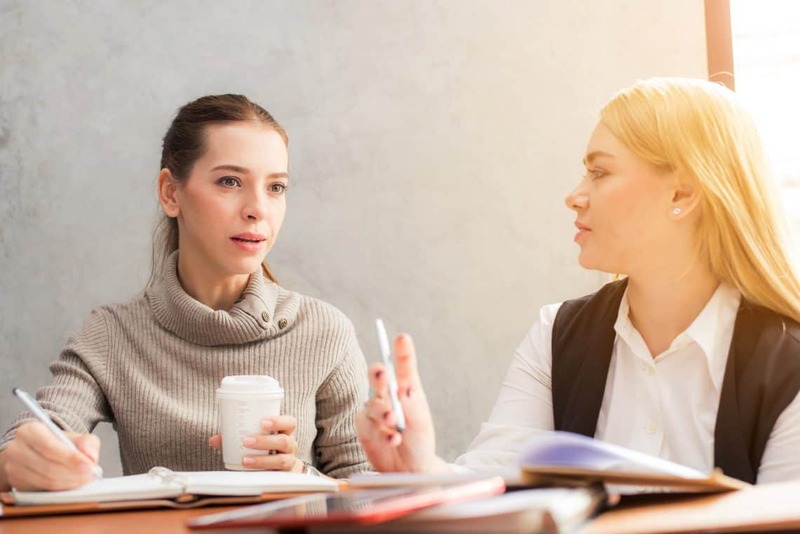 Furthermore, stay-at-home moms may run the risk of having their debt climb in order to afford these unexpected expenses, or even simply to pay the bills. As making ends meet may already be somewhat difficult, there are also “the extras” to consider. Working moms’ incomes may help fund extracurricular activities, holiday gifts, dinners out, or big family vacations. While the stay-at-home mom might have more of the everyday, simple moments with their kids, working moms may be able to provide some special experiences the family otherwise could not afford. Building a relationship with childcare providers can be a huge benefit to families, especially those who do not have family nearby. Our childcare providers have become part of our “band.” Our kids have formed lasting relationships with them and with their families. I find it reassuring to know that I have other adults who are looking out for my kids and come to know them almost as well as I do. They have celebrated accomplishments with us, worried when our kids were sick, and helped us troubleshoot aspects of parenting when necessary. And there are ways in which having a childcare provider offers freedom and flexibility to certain aspects of my life. I can schedule doctor appointments on work days (thanks to sick time), and if I am ill, I have someone to look after my kids while I rest. Plus, since our childcare providers have such great relationships with our kids, they’re perfect to call on when we need someone to watch our kids outside of work hours. When we went to the hospital to have our second baby, our daughter’s babysitter took her overnight for us! 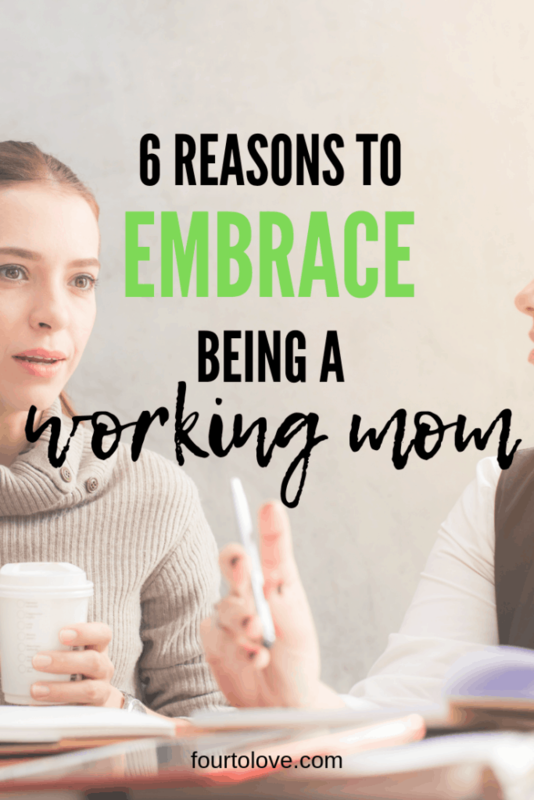 The actual experience of going into work provides many benefits that stay-at-home moms do not naturally have built into their days. For one, the work environment usually provides social interaction with other adults. I can attest that after nearly nine years in the same office, my coworkers have become more like family to me. I look forward to seeing them when I go to work and value our personal conversations as well as our work collaborations. The isolation that stay-at-home moms feel may contribute to the higher rates of depression, anger, and sadness that stay-at-home moms report compared with their employed counterparts. Working moms also get recognized and rewarded for the work they do in their jobs. They contribute to society in a more public way than when they are at home. They take home a paycheck and may receive awards, praise from their superiors, or promotions. Stay-at-home moms have extremely productive days filled with the physically and emotionally demanding tasks of keeping kids alive and happy. But the constant requests made of them may come in the form of preverbal cries, shouts, or demands instead of polite emails from colleagues. And chances are, most of these tasks do not showcase their skills, talents, or educations. On top of this, they receive no tangible compensation for their work, and likely very little recognition. What this exploration of stay-at-home mom vs. working mom boils down to is that (as with most parenting choices), either of these options will benefit the woman and the family in their own ways. My hope is that any woman who has the privilege of choosing between working or being a stay-at-home mom takes the time to think carefully about her own desires and goals rather than others’ opinions. Either way, being yourself and loving your kids is what will matter to them most. They will benefit from you putting yourself in the life situation that most makes you feel happy, balanced, and less stressed, whether that be working or staying home full-time.